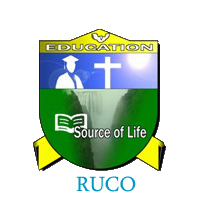 Ruaha Catholic University (RUCU) is the successor of Ruaha University College (RUCO) which was established by the Tanzania Episcopal Conference (TEC) under its Trust Deed of the Registered Trustees of Ruaha University College through the generous support of the government and well-wishers (friends of RUCU) within Tanzania. The University is governed and administered in accordance with the Catholic Church Policy on Higher Education Institutions —Ex Corde Ecclesiae- and the provisions of the constitution establishing a University. Nonetheless RUCU is a private and secular institution of higher learning that is open to all regardless of their faiths or religious affiliations, race, ethnicity, gender, disability or caste. (A) In law: Lecturers (2), Senior Lecturer (1), and Professor (1) Areas of specialization: Human Rights and/ or Trade and Finance and for Finance and Banking. 1. Prepare and conduct Lectures to students in the Faculty of Law and education at post-graduate and/ or undergraduate levels. 2. Contribute professional inputs to the Faculty. 3. Participate in developing new programs and curriculum. 9. Perform any other duties that may be assigned to you by the Dean and/or higher authority. 1. PhD holders in law/linguistics/education from any university recognized by Tanzania Commission for Universities with specializations as indicated above. 2. Undergraduate degree GPA of not less than 3.5. 1. PhD holders in law/linguistics/education attained from any university recognized by Tanzania Commission for Universities with specialization as indicated above.